Healing courses can open up a new career path for you. You can train to be a Hypno Healer on our healing courses and start a rewarding career helping others. There are many different kinds of healing courses available, including spiritual healing, intuitive healing, bio-energy healing, reiki healing and many more healing modalities. However, Hypno Healing offers something extraordinary. In addition to working through bio-energy, intuition and spiritual energy, it also works through the mind and the emotions. Therefore Hypno Healing creates a powerful connection between mind, body, and energy. This helps clients have faster breakthrough experiences. Of all the healing courses that you can do, Hypno Healing is one of the shortest. But it is also very thorough and deep despite its brevity. You can become a Hypno Healing Practitioner in just one weekend. You can become a Hypno Healing Master Practitioner by attending a second healing course, also run over one weekend. Not only that but you can also join our competive group scheme to obtain professinal indemnity insurance and work as a Hypno Healer. Plus you get unlimited support as you get ready to launch your Hypno Healing practice. Imagine how good it would feel to have healing skills in energy, spiritual and hypnosis work? What makes Hypno Healing one of the most remarkable healing courses is that it brings clients to the edge of what is called their Belief Horizon. This is one of the three healing fields of consciousness. The belief horizon contains all of the biological information on what is holding them back and stopping them from having a deep healing experience. If you would like to learn more about one of the most academically researched healing courses, then download Hypno Healing. Hypno Healing is a healing course that will teach you how to become a professional Hypno Healer. 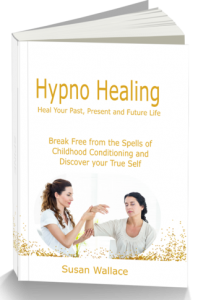 It uses contemplative hypnosis and energy healing to help your clients break free from the spells of childhood conditioning and discover their true self. Susan Wallace is the creator of Hypno Healing. Only people trained by Susan Wallace and accredited by Results Academy and the Healing Trust (Ireland) can call themselves Hypno Healers.